A tent not only gives you protection from bad weather, but on those bright sunny days, it provides protection from the harmful UV rays and heat from the sun. 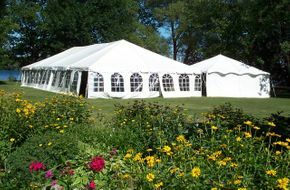 Plan your wedding or special occasion well ahead, and book your tent rental with Barrie Tent & Awning in Central Ontario as early as possible so that you can have the best selection of sizes available. There are a number of different sizes and styles of tents that you can rent for the weekend which you can install with the help of a friend or a neighbour. 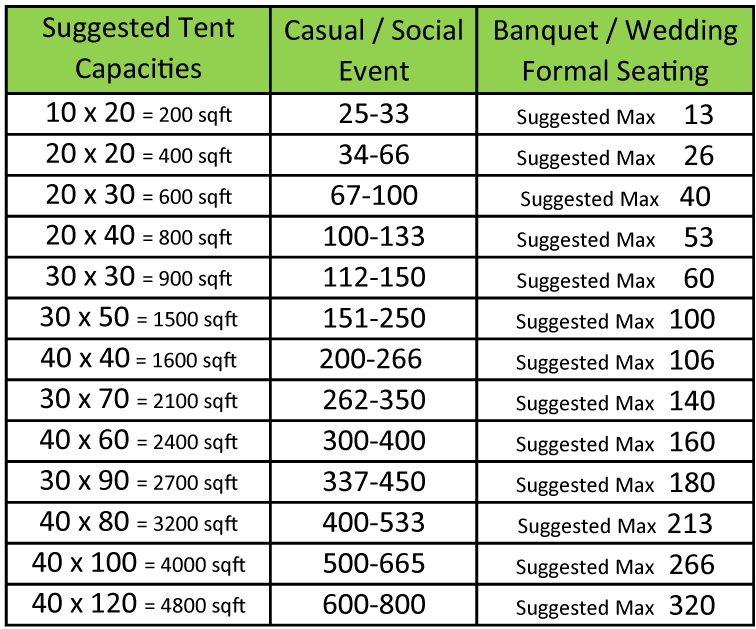 The larger 30’ and 40’ wide tents, which are required for larger functions, must be installed by qualified personnel and may require a building permit. Are you having a small gathering and want the option of having some temporary shelter from the sun or the chance of rain? Maybe one of our weekend sun shelter rentals will do the trick? 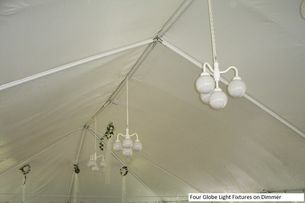 These sturdy frame tents can be installed in about 20 minutes following simple instructions by matching the colour-coded poles to the frame fittings. All of our sun shelters come with removable solid walls that clip around the perimeter for great versatility or they can be left completely off if not needed. All tent components come in three convenient packages that will fit in almost any vehicle. 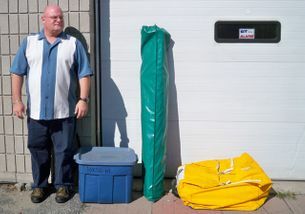 There is one 5’ x 1’ x 1’ bag for the poles, one tote with the fittings and stakes, and one 2’ x 3’ x 3’ fabric carrying bag with the top cover and walls. 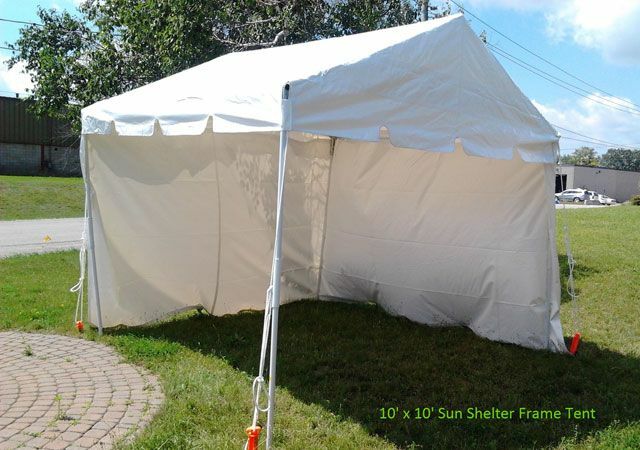 These sun shelters come in either 10’ x 10’ or 10’ x 20’ sizes each with 7’ high legs and can be picked up at our Barrie office on Thursday or Friday and returned on Monday or Tuesday. * Please note: Prices are subject to change without notice. 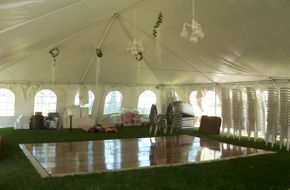 Need a Tent for Your Event? Have the area checked and marked by service providers for electrical, telephone, natural gas, and cable television lines. 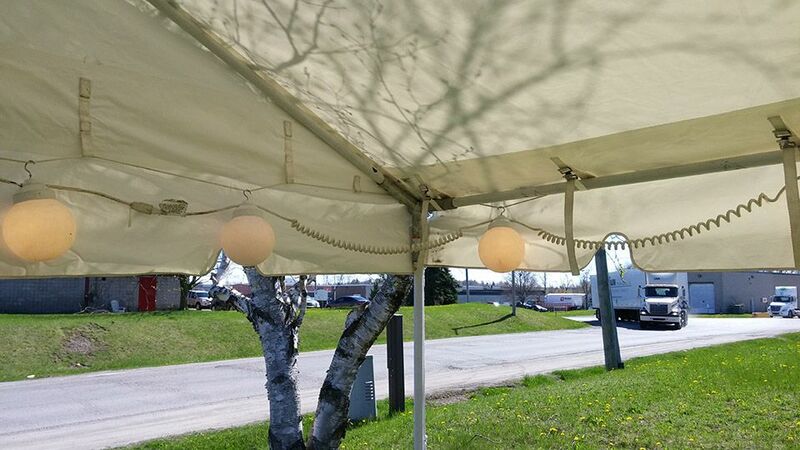 Overhead obstructions as well as uneven ground can also be a barrier to having a tent installed. 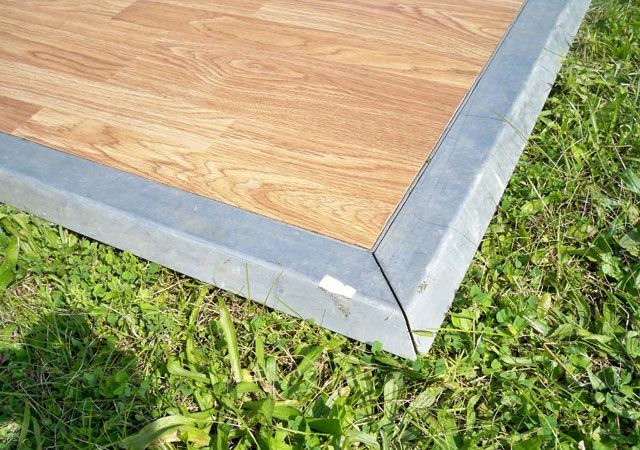 Also if your home has a septic system, that area may or may not be the best place for you to install your tent. Do you have enough washrooms available? have 150 guests and if you have a septic system. you do not overload your system. Does your home insurance policy cover you? property damage in case of an accident. Do you need a building permit for your event? 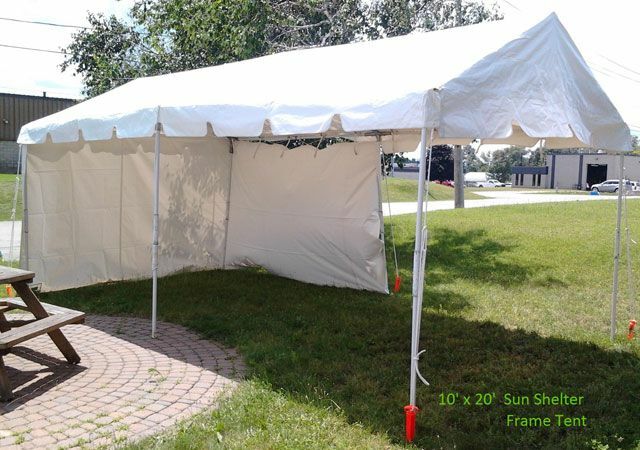 Some municipalities are now requiring building permits and engineered drawings for temporary structures such as tents over a certain square footage, usually over 600 sqft. The property owner is responsible to apply for any permits with Barrie Tent & Awning able to provide the required drawings. Please contact your local municipality for confirmation. 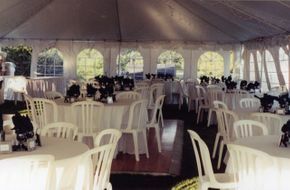 A tent is the place to be for memorable occasions. 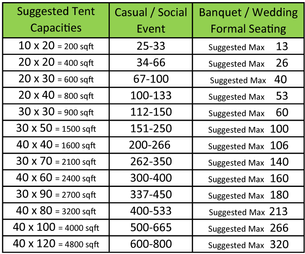 Choose the location, then select the tent size, style and colour to create the ambiance you want for your event. 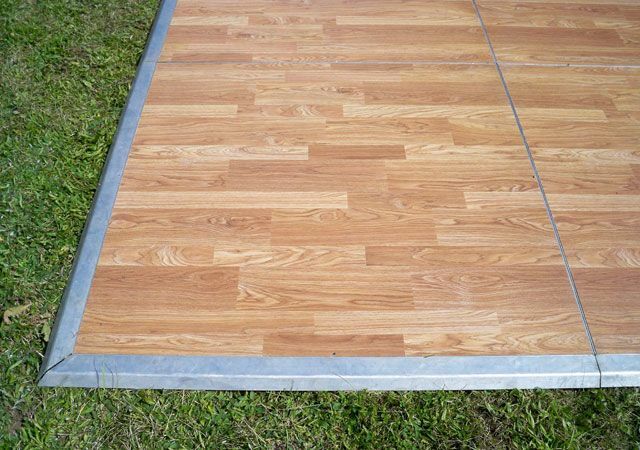 We can supply an interlocking dance floor with aluminum edging up to 20’x 20’. 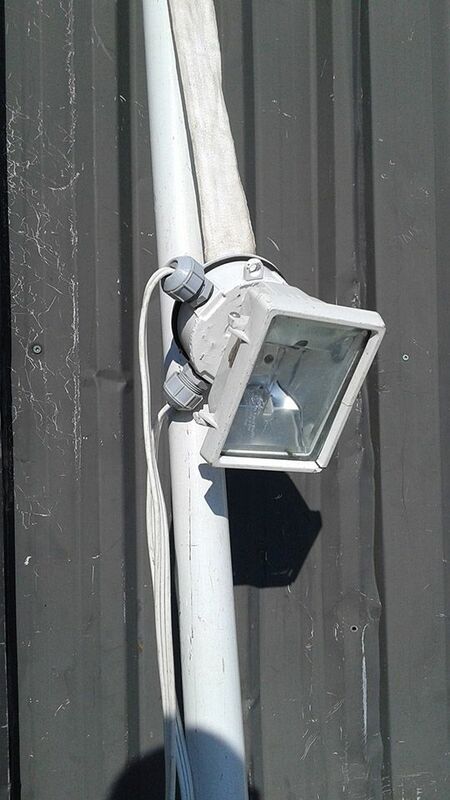 300-watt Quartz floodlights with a dimmer switch. 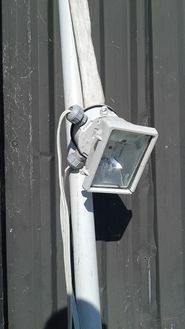 240-watt four-globe chandelier style fixtures. 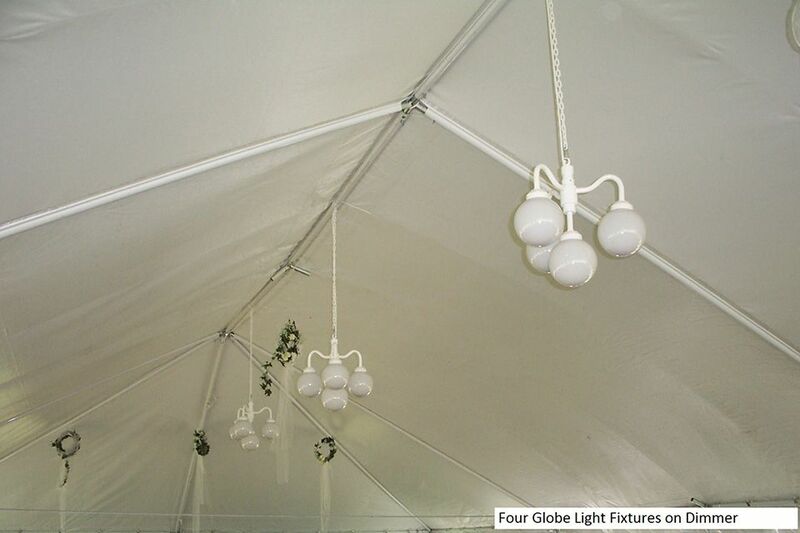 Strings of 8 Single Globe Lights for tent perimeter.